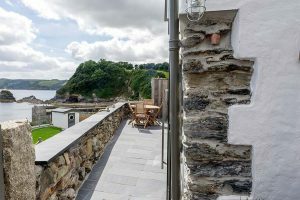 A former public toilet in a picturesque Cornish seaside town has been transformed into a luxury residence, with Zinsser paint used throughout the renovation to ensure lasting results. The run-down building, which has become known as the ‘loo with a view’, had stood empty for several years and was bought for £115,000 by model-turned property developer Charlotte Thomson and her fiancé Joey Auger in March last year. Perched on the cliff side in the port of Charlestown, made famous by the BBC series Poldark, the property is just metres from the sea, presenting very specific challenges when it came to choosing a paint system which would stand up to the elements. A site visit by Zinsser business development manager Richard Thomas allowed him to assess exactly what as required, with a three-stage process using Peel Stop, Bulls Eye 1-2-3 and AllCoat Exterior recommended. Richard said: “The proximity of this building to the sea means that during high tide the moisture in the air coats the exterior of the building. In addition, during winter it undergoes a ‘sandblast’ effect as the wind whips up sand from the beach and throws it against the building. 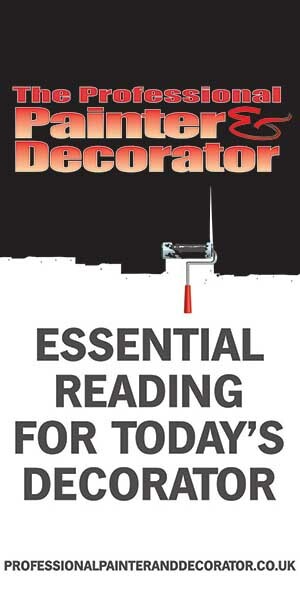 “Each of the products we used has a specific purpose – the Peel Stop is a clear primer which increases the bond of any subsequent coatings to the wall and prevents the first coat of paint soaking straight into the render, preventing peeling, flaking, dusting or chalking. “This was followed by Bulls Eye 1-2-3 which is a great stain blocker and also contains a biocide to protect against fungal degradation, increasing the overall lifespan of the finished job. 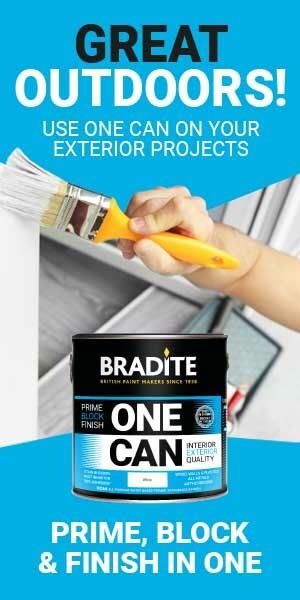 All three products have quick dry times – Peel Stop can be recoated in two hours with Bulls Eye 1-2-3 and AllCoat Exterior both ready for recoat in just one hour, meaning most of the exterior painting could be carried out in one day, with one coat of peel Stop, one coat of Bulls Eye 1-2-3 and two coats of AllCoat Exterior used. The interior of the 18th century former fish cellar and net store was painted with Zinsser Grade 1 throughout, specifically formulated to tackle problems associated with traditional and historic buildings, including damp and stains, without trapping moisture which would cause the finish to flake and crack. 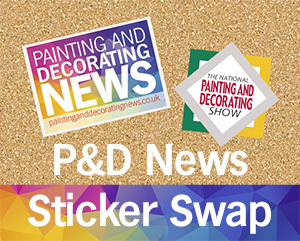 All the paints used for the project were supplied by Steve Caruana of Rabart Decorating Centres, from its branch in Redruth, Cornwall. The renovation of the 502 sq ft property has taken seven months and has included completely gutting the original building, creating an open plan ground floor living area and kitchen, adding two first floor bedrooms and landscaping the outdoor space. High quality modern fixtures and fittings have been used throughout, along with reclaimed timber in a nod to the building’s historic past. 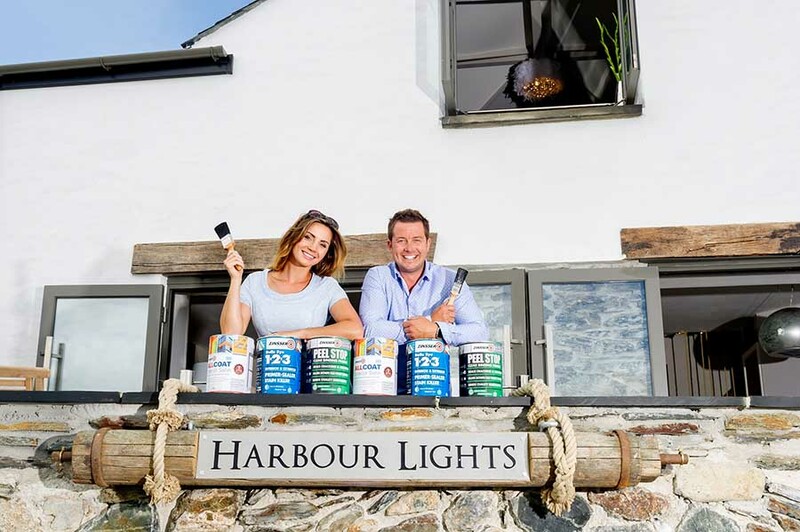 The property, which has been renamed ‘Harbour Lights’, has now been put on the market for £595,000, with Charlotte and Joey turning their attention to their next renovation challenge.